Did you experience a tragic loss of your documents or spreadsheets? Office documents such as Word DOC or Excel XLS files are among the most valuable and time-consuming files stored on any office PC, and require by far the largest effort to replace or re-create. That is why it is essential to recover lost documents if they get accidentally deleted or the hard drive gets corrupted. Thinking about hiring a professional data recovery company? Ask them for a quote. Is it worth it? Most probably, you would pay even more to get your files back - but why paying hundreds of dollars when you can do it yourself just as professionally or even better? Office Recovery Wizard can help you become a data recovery pro without even trying, offering an easy way to recover lost documents produced by Microsoft Office 95 through 2010, as well as OpenOffice and StarOffice. Unlike other data recovery tools, Office Recovery Wizard is designed specifically to let computer users without past experience in data recovery restore lost Office documents whether they were simply deleted or if the hard disk is badly damaged and/or completely inaccessible. An easy step-by-step recovery wizard guides you through the recovery process by asking a few simple questions. All that you do is selecting the disk to recover documents from, wait for a few minutes, and pick files to recover from the list of recoverable documents presented to you as a regular Explorer-like window. To make things even simpler, Office Recovery Wizard displays full Live Preview of all recoverable documents on a single click, allowing you to choose the latest version of each document. Office Recovery Wizard features the latest developments in data recovery, continuing to be on the technological edge with every new release. The powerful search algorithm scans the entire surface of your hard disk in order to locate and recover missing documents. It finds supported documents by matching the contents of the disk against pre-defined signatures, working similar to anti-virus programs looking for viruses during a system scan. The technology can find documents in case the hard disk is severely damaged, or if the file system is missing, corrupted, or overwritten. To make it easier for you to decide which files to recover, Office Recovery Wizard comes with fully featured Live Preview even in its free edition. The Live Preview feature displays the contents of each document in what-you-see-is-what-you-get manner an instant you click on a file. 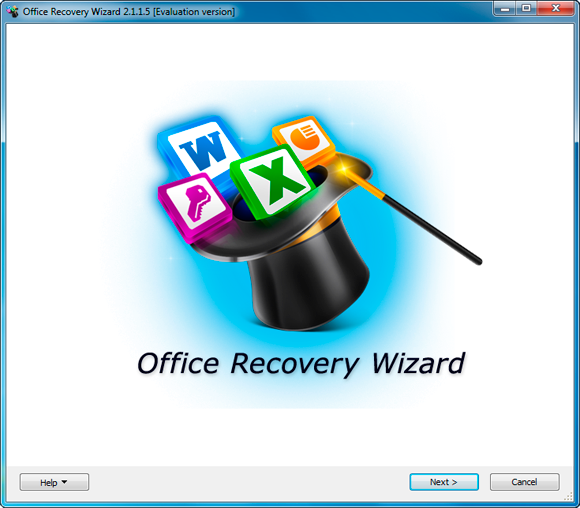 Office Recovery Wizard is a truly universal recovery tool that works on any 32-bit or 64-bit version of Windows from 95 to Windows 7, supports all file systems from the early versions of FAT to the latest revision of NTFS used in Windows Vista, as well as several exotic file systems such as ISO9660, UDF, Linux Ext2, Ext3, and Raiser.